The gold standard for troubleshooting is duplication of the problem. Simply put, duplication is the ability to reliably recreate a particular failure condition. The word “reliable” is key: it should be something you can summon forth on demand every time. Duplication is the beginning of a simple but powerful strategy that includes changing variables one at a time until you find the offending part, subsystem, or configuration setting. Reliable duplication gives purchase to your attempts at isolating the cause, allowing you to verify after each change whether or not you’ve fixed the problem. Reliable failures (seems like an oxymoron, eh?) make certain that, when you make a change and it begins to work, you’ve found the cause! Please note, the machine must be nearly working for duplication to be useful. 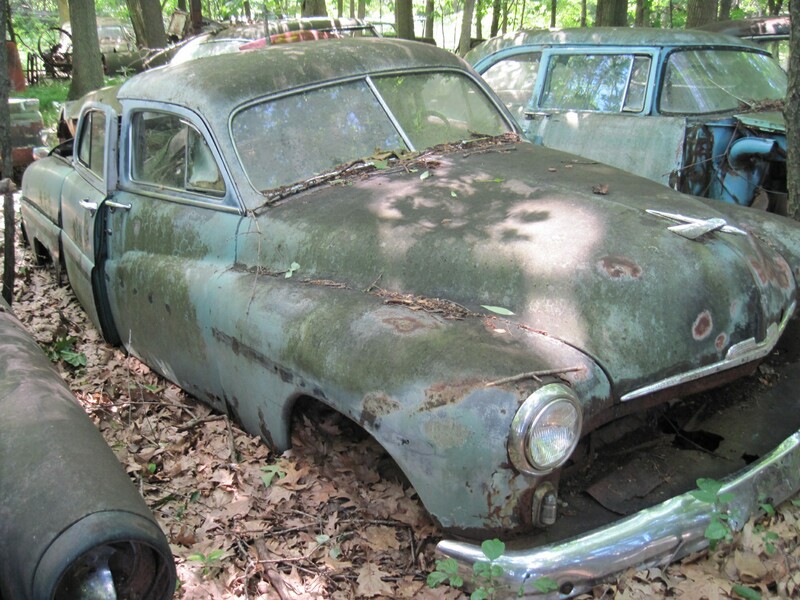 To illustrate why, imagine a car that has sat unused for 50 years. When you go to start it, nothing happens. You try again, with the same result. Feeling good, you give it a try a third time and a smile creeps across your face. “Aha!”, you think, “I’ve just duplicated the problem!” Yes, you have, but I’m afraid that it won’t help you very much in the context of a car that hasn’t run in 50 years. That’s because the number of things likely to be wrong is so large that a duplication plus isolation strategy will only tell you that…nearly every single component needs to be repaired or replaced. A project like that is much closer to manufacturing (making something work for the first time) than troubleshooting. Contrast the above scenario with a car that stopped working 5 minutes ago. And, its state of not working is 100% reliable. Now we’re talking about a situation where duplication will be useful. A machine that stopped working recently is likely to have only a few things wrong. This is the type of scenario where you can start to make progress using a duplication and a “change just one thing at a time” strategy. Temperature, humidity, and other environmental conditions. For mechanical machines: levels of fuel, fluids, batteries, etc. For digital devices: buffer levels, memory consumption, amount of network activity, other programs running alongside, etc. Operators: if the problem only happens when Joe is at the controls, then have Joe present during troubleshooting to do everything the same way (or have him show you so you can imitate). Looking over this list, you may realize that you don’t know what was happening within these categories during the failure. You may also come to the conclusion that you don’t even know what the normal operating range is for these parameters in your environment. That may be an indication that it’s time to start collecting data. You may be drawn to things that make a symptom better, but things that make a symptom worse are just as valuable to discover! Both provide valuable information and show a dependency in action. When you find a knob you can twist that affects the problem, good or bad, you are well on your way to understanding the issue. 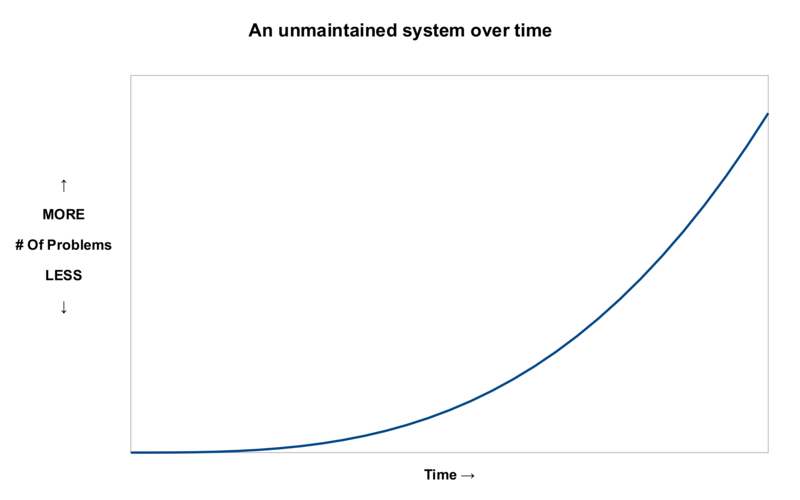 Graph: The degradation of an unmaintained system over time. Left to sit, a machine will have so many problems that duplication will no longer be a viable strategy for troubleshooting. 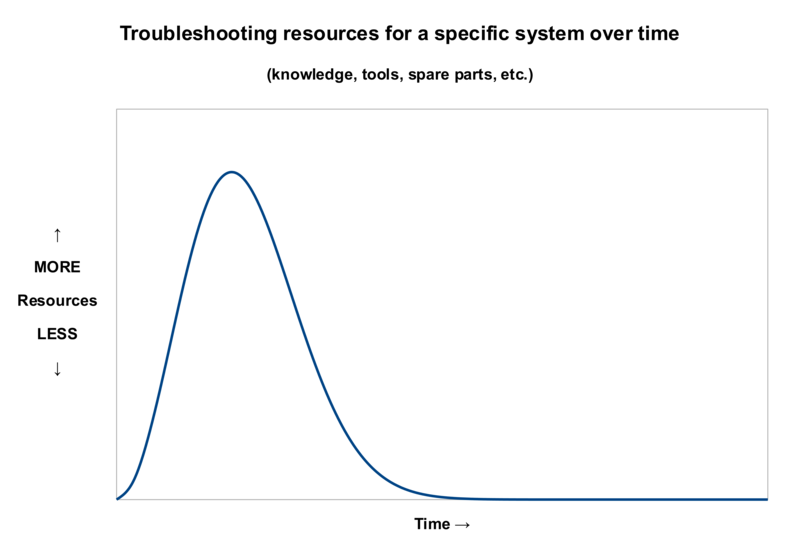 Graph: especially for mass-produced machines, the resources available to help you diagnose and fix a problem will increase, peak, and then begin a long decline. At first, a machine is widely adopted and the resources for repair increase in response to market demand. Later, the machine is replaced by newer models and outmoded by new technologies, and available troubleshooting resources begin to decline. Over time, resources available to help you make a fix can vary widely. Number among these resources: community knowledge, technician know-how, manuals, tools, and spare parts. See the graph above for a visual representation of this phenomenon: with some lag, shortly after a machine is first produced there will be a peak in the resources available to help you troubleshoot. 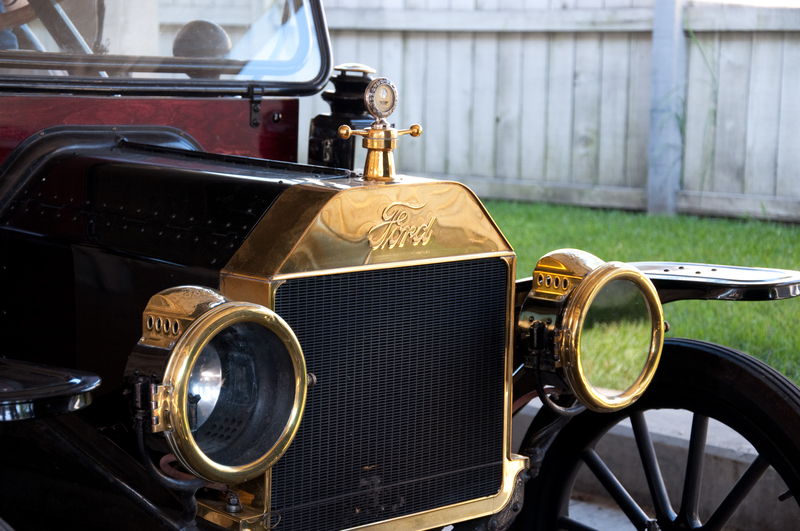 Take the Ford Model T as an example: between 1908 and 1927 over 15 million units of this iconic car were produced. At the very moment the first one rolled off the assembly line in 1908, there probably weren’t that many people who knew how to fix them. However by 1927, when there were millions of these cars on the road, it’s safe to say that nearly every auto mechanic working in the USA knew something about how to repair the Model T. They were everywhere! Not only that, but the tools and spare parts required were likewise ubiquitous: the simple economics of millions of these cars requiring maintenance meant that the market met this demand with abundant resources. Fast-forward to today and how many people know how to repair a Model T? How do you get parts? It’s possible, but only a very small group of enthusiasts (antique car collectors and restorers) possess these resources. A hundred years from now, you can bet that this group will be even smaller! Anything can be repaired if you can throw enough resources at the problem, but realize that “fixing” a very old system will put you in a role similar to the original design engineers: prepare to pay the cost of discovering how to make it work, just like they did. Lao Tzu and Stephen Mitchell, Tao Te Ching: An Illustrated Journey (New York: HarperCollins, 1999), verse 64.